You won’t believe how cheffy this lightning fast weeknight number turns out. 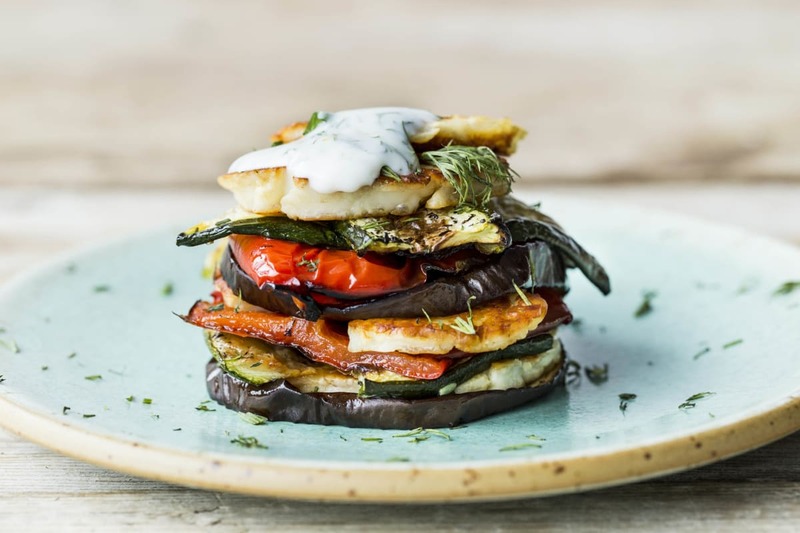 Let the smells of the Mediterranean fill your kitchen as you give yourself over to sweet smoky capsicum, creamy eggplant and that most magical and delicious of cheeses, the salty Cypriot haloumi. 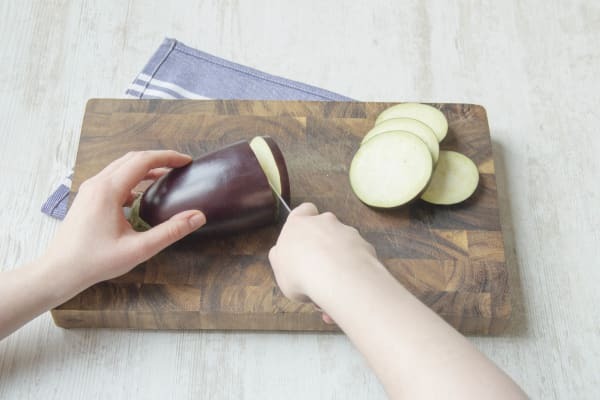 To prepare the ingredients, cut the eggplant into 1 cm thick rounds, the zucchini into 5 mm think ribbons, and the haloumi into 5 mm thick slices. Quarter the capsicum and remove the seeds. Peel and crush the garlic, and chop the dill. Zest and juice the lemon. Lay the eggplant, zucchini and capsicum slices across two oven trays. In a small bowl mix together the olive oil and garlic and brush over the vegetable slices. Cook in the oven for 30-35 minutes or until the vegetables are tender and golden. Combine the yoghurt, dill, and lemon juice and zest in a small bowl, then season with some salt and pepper. Stack the vegetables and haloumi between plates and top with the yoghurt dressing. Serve with the mixed salad leaves and drizzle with a little olive oil and vinegar if you like.